WATCH: Zelda: Breath of the Wild Reveal Trailer | Nerd Much? Our first bit of Nintendo news out of E3 2016, as the company has unveiled that the upcoming Zelda game will be officially titled The Legend of Zelda: Breath of the Wild, and now it’s number one on our list of the most anticipated games of 2017. 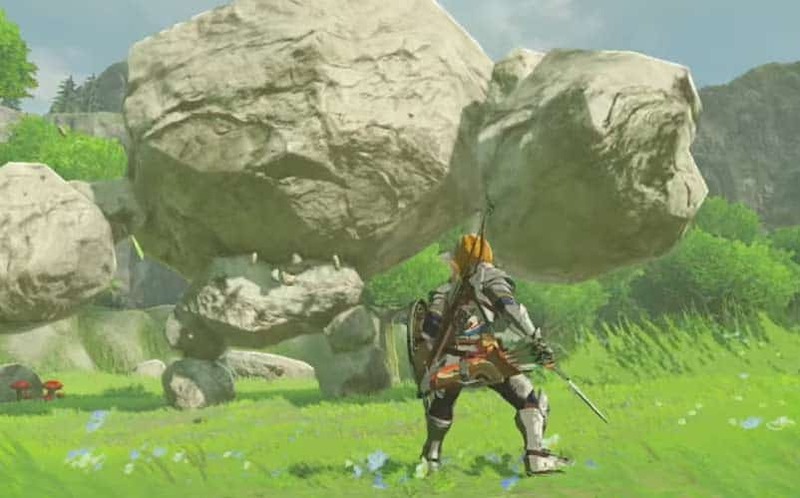 In the trailer, we’re shown Link’s new abilities, including hunting, cooking, and climbing, as well as what appears to be some voice acting, which would be a first for Zelda games. It was also revealed that the open world for the upcoming Zelda game will be 12x larger than the map in Twilight Princess. Furthermore, through the Nintendo Treehouse Livestream, we learned that the game will have an assortment of loot with its own RPG-like stats. Unfortunately, we still weren’t given a firm Breath of the Wild release date, only that it’s still coming in 2017. Hopefully, we’ll know more soon. Breath of the Wild will release on the Wii U and Nintendo NX at some point in 2017. Stay tuned to Nerd Much for our hands-on impressions of The Legend of Zelda: Breath of the Wild at some point over the next few days. Nintendo also announced a Paper Mario: Color Splash Wii U release date this afternoon.